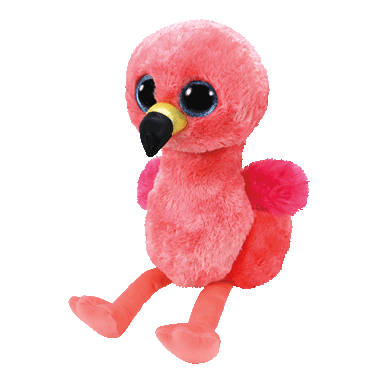 Meet Gilda, the Beanie Boo flamingo! Gilda's birthday is February 26. I bought a few different ones for stockings and birthday gift add ons. My daughter loves this flamingo, we only give it to her on car trips so it's special and it's the perfect size for that. This toy is adorable, my daughter loves it and take it to bed with her every night.